This is a full sized UNCOMMON 35mm. 1970 OMEGA SEAMASTER CHRONOMETER having an amazingly clean original dial with subtle and amazing patina and original Dauphine handset. You rarely find these CHRONOMETER grade Seamasters, as we normally see these chronometer grade movements in the CONSTELLATION watches. The steel case is sleek, substantial and in fine shape overall-with desired sea monster relief logo on the case back. The winding crown is OMEGA and OMEGA hesalite crystal is correct. The full length OMEGA beads of rice bracelet will fit a 7.5 inch wrist. 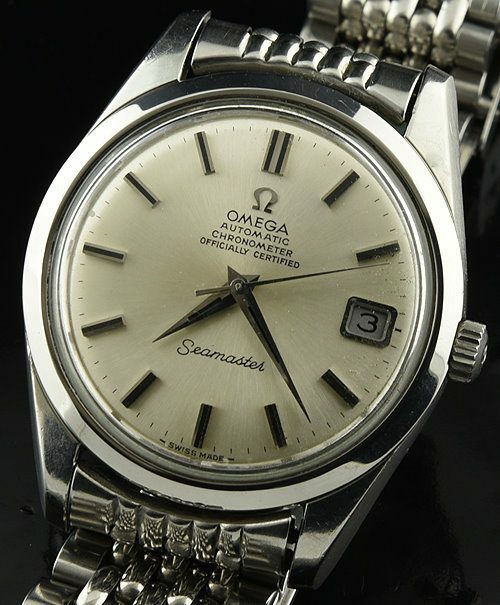 The fine caliber 564 OMEGA automatic CHRONOMETER GRADE movement was just cleaned and is accurate. 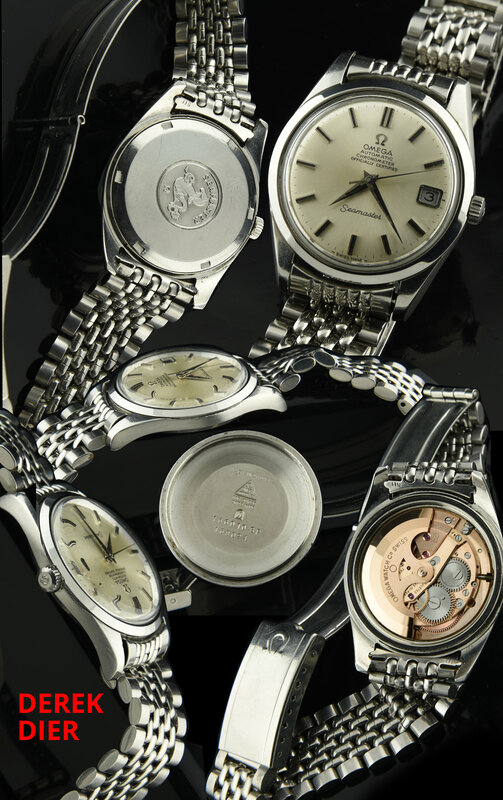 These are amongst my favourite of ALL vintage OMEGA dress watches due to the clean lines and purity in design. These Chronometer grade Seamasters are becoming harder to find these days. Just $1950.